14 years ago I was 10 years old and got a chance to meet / see my favorite band of all time. 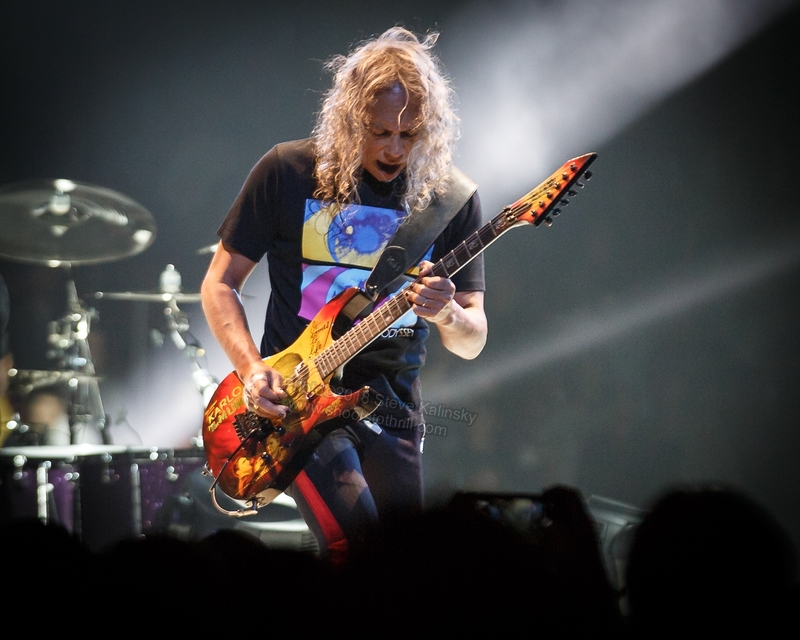 2004, the last time Metallica was in Pittsburgh on the “Madly In Anger With You” world tour during a time of turmoil for the band and much needed regrouping with the fans to extend their career into the next phase. I had the great privilege to see Metallica 3 more times prior to last nights show (Philly in 2008, and Orion Fest Atlantic City 2012 both nights). 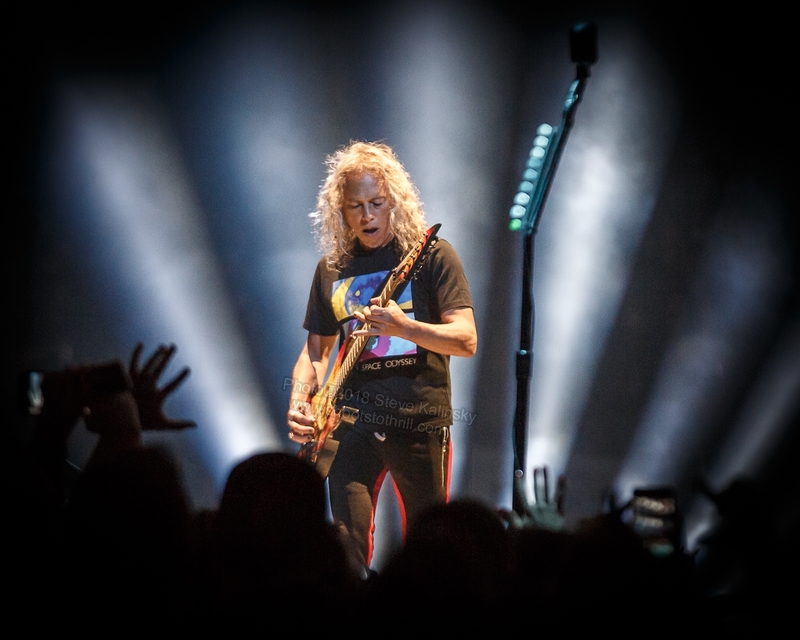 Each show brought so much energy and excitement with Atlantic City being a full on Metallica Fest with all kinds of activities. 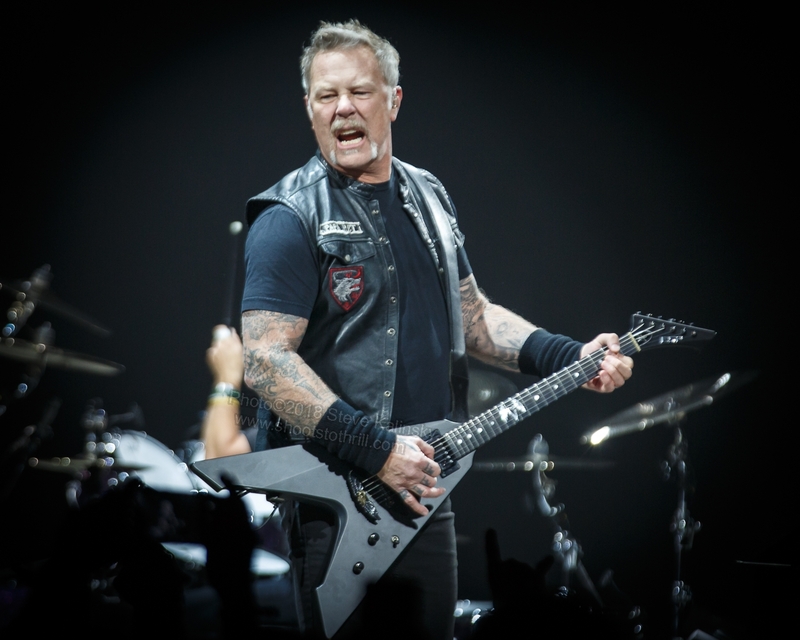 Fast forward to 2018 (37 years into their career) Metallica has gone through their demons and hardships to tighten their bond as people and band members, bringing their fans along for the ride wherever they roam. The opener was one of the most entertaining and unique openers for a concert. A classic heavy metal comedian, Jim Breuer takes the stage with his spin on humor geared towards rock icons. It was by far some of the most fun I’ve had during an opener at any concert I’ve been to. He did a bit about meeting Ozzy on a private jet on his way to MTVs Metallica ICON show back in 2003, which sent laughter throughout PPG arena. 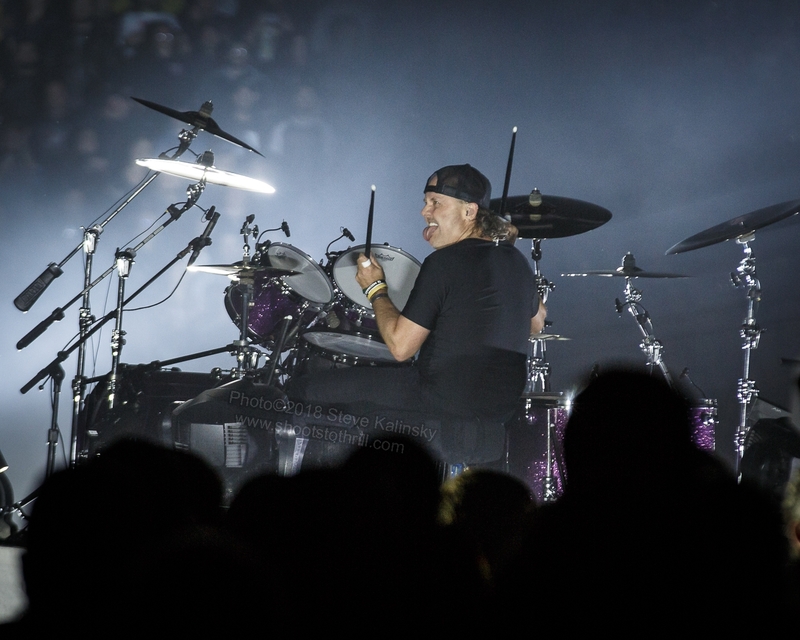 Jim would leave for a few minutes to check on Metallica and when Lars got on the big screen to check on the fans the arena roared to show they were ready for some heavy metal! 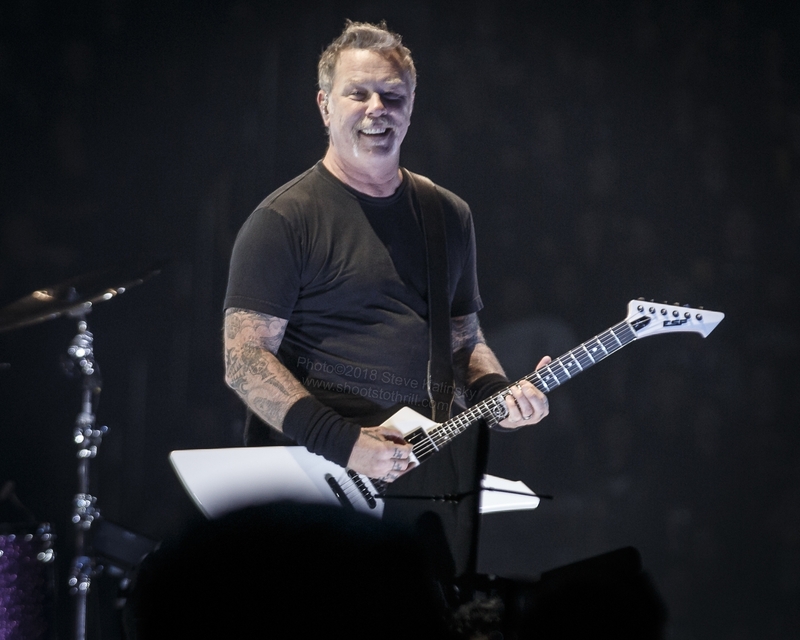 Jim proved something more than just an opener, the fact that Metallica shows are not just concerts, but events that you share great quality heavy metal time with thousands of fans with his comedy, trivia games, and crowd pumping karokee to warm up an eager crowd awaiting legends to take the stage. Lights out. And chills get sent down your spine with one of the best intro tapes of all time, “The Ecstacy of Gold” from The Good, The Bad and The Ugly. 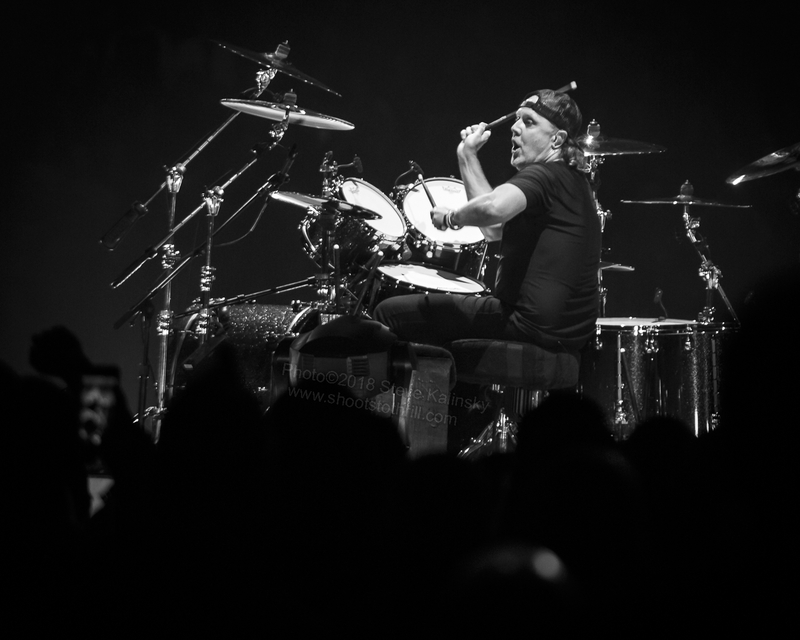 Following another short bout of darkness the pounding drums of “Hardwired…To Self Destruct” start echoing through the arena only to burst with the crack of a snare and Metallica full fledged on stage as the crowd goes berserk. With 18,000 fists in the air the band chugs through “Atlas Rise!” a hard hitting groove off their newest record. 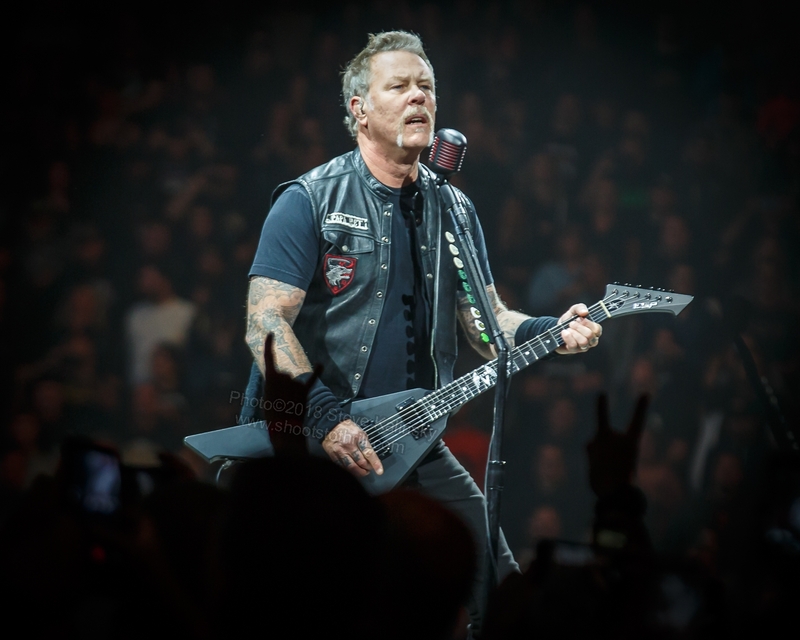 James Hetfield welcomes Pittsburgh back to the Metallica family and states “but we might even play an old song”, Seek and Destroy! An instant classic from 1981s “Kill ‘Em All” as the crowd sings nearly word for word and roars Seek and Destory!!! in the chorus. 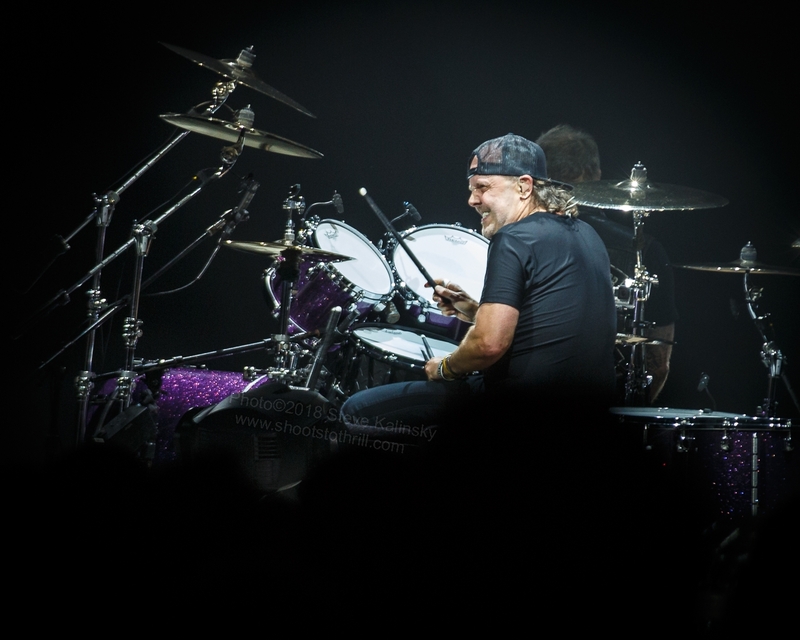 Lars gets his time in the spotlight with a short drum part in the middle of the song following the shredding solo from Kirk Hammett (who was on point all night). There’s nothing better than hearing 18,000 Metallica family members chanting “Hey, Hey, Hey!” along with Hetfield as we close out the throwback song. The sound at this point was tuned in perfectly for “Wherever I May Roam” with its dark pounding drums and heavy guitar circling your head to kick you into full Metallica mode. 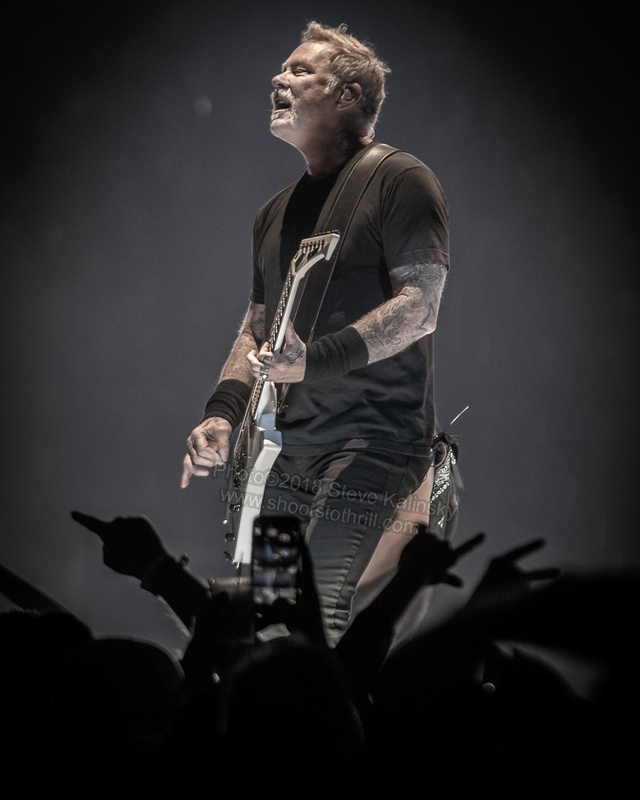 Next, Hetfield comes up with his acoustic guitar and plucks the harmonizing intro to “The Unforgiven” another fan favorite off one of the best selling albums of all time (Black album, over 20million worldwide). 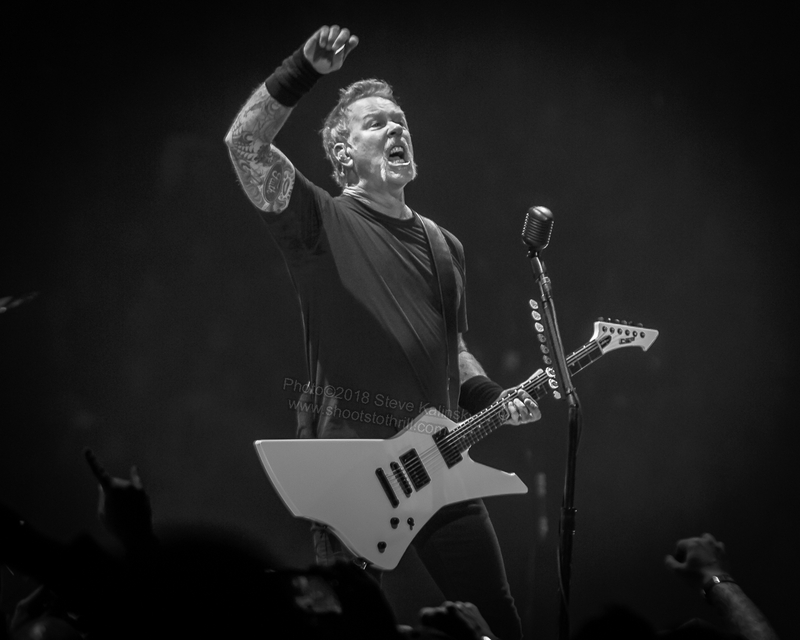 With this song Hetfield proves that his voice is just as powerful as it was in 1991 and the crowd sang in unison. The production was very impressive as well. Each light was encased in a box that was a 4 sided screen flashing all sorts of lights, pictures, and animations. 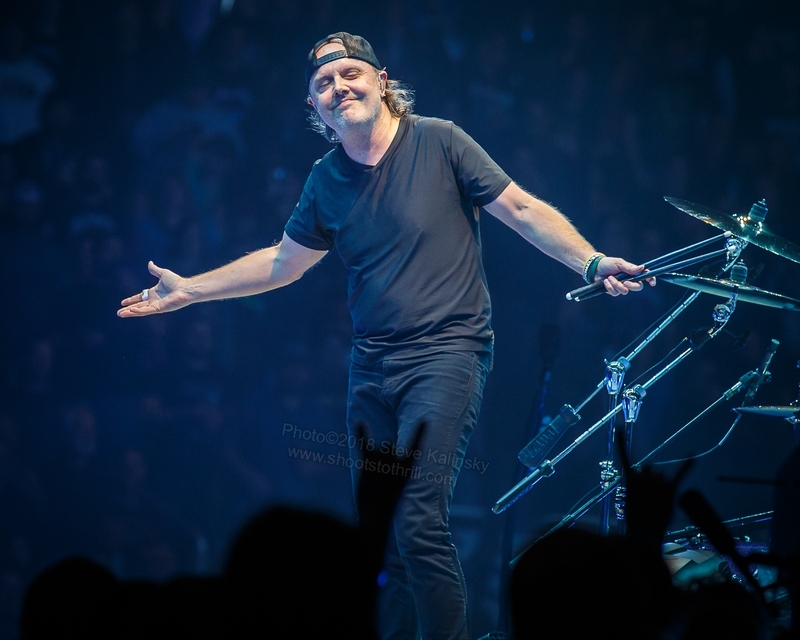 But, on the next song “Now That We’re Dead” 4 risers came out from the ground which housed percussion drums for the middle breakdown of the song. 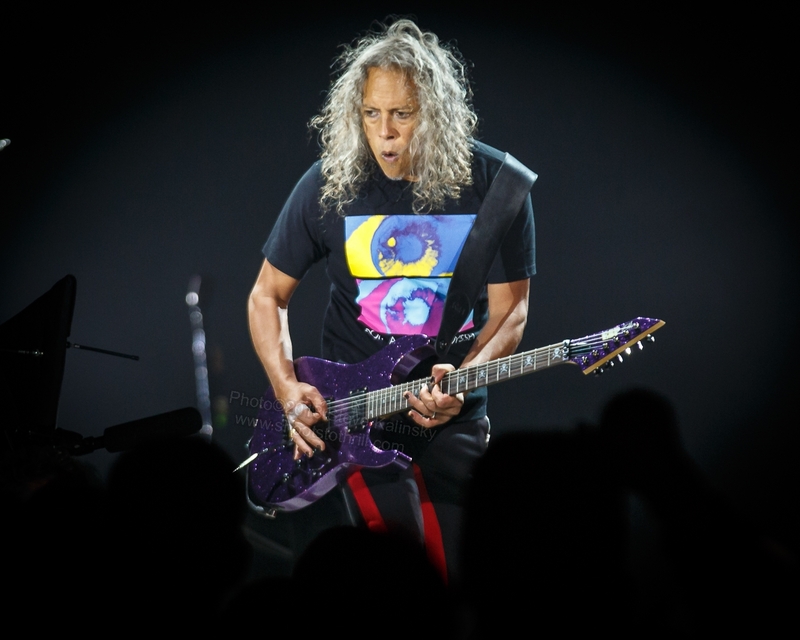 This is where Metallica gets to say, we take chances and make great moments out of it. Each member of the band left their instruments for drum sticks and pounded an almost tribal like anthem of percussion for the crowd to chant along too. Closing out a pretty unique part of the show the band ripped into “Creeping Death” with the fan favorite chant of “Die, Die, Die!” through the middle of the song under a riff written by Hammett when he was just 15 years old, becoming a staple ‘Tallica riff. 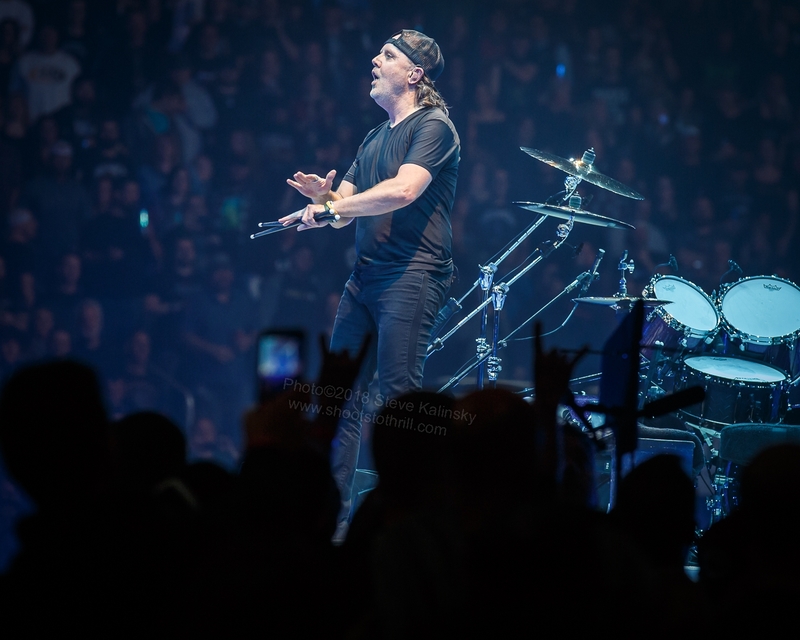 “For Whom The Bell Tolls” rumbles on with another word for word chanting from the crowd and the dark echos of “take a look to the sky just before you die, it’s the last time you will…” always sends some energy through your veins. “Welcome Home (Sanitarium)” was a great surprise since I have never got to hear that one live and it was amazing. Kirk was nailing the solos, James sounded as good as ever and they chugged through the classic off of the Master of Puppets album like a well oiled machine. 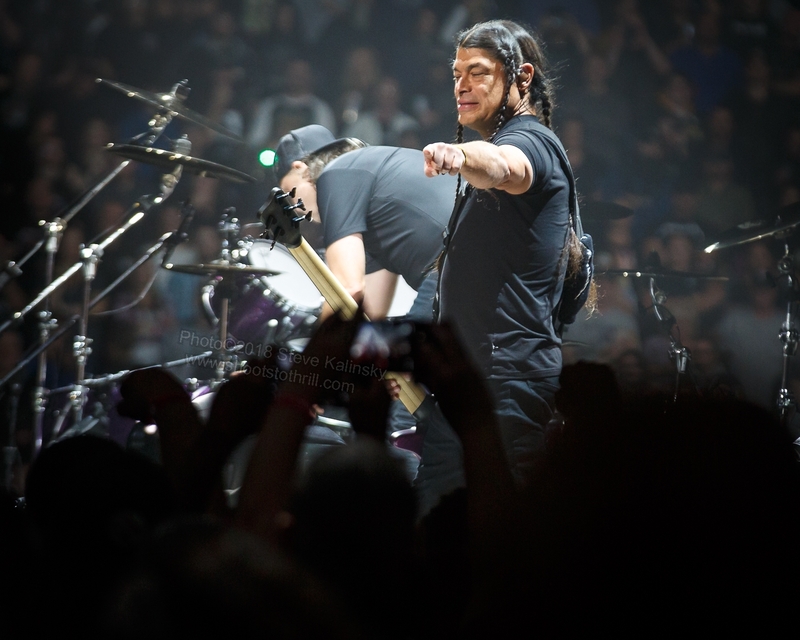 Bassist, Robert Trujillo got to show off his skills while paying tribute to Cliff Burton during the shredding of “Pulling Teeth” a Cliff Burton penned bass solo, as flashes of a head banging Burton played on screen. 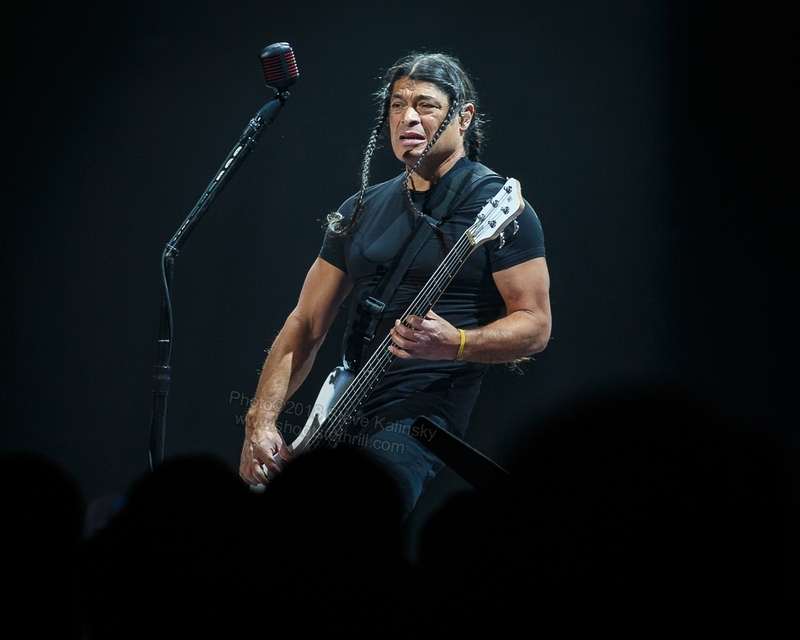 Following up perfectly with the bass solo was “Whiplash” the punch you in the face thrashy tune proving that even at 54 years old, Metallica can still get it done. “Fortune, fame. Mirror vain. Gone insane, But the Memory Remains!” an underrated song off of 1997s reload, the crowd hummed along with its perfect chorus for fan interaction. “Moth Into Flame” was next on the list, a song about addiction and fame. And this is where one of the most cool concert effects I’ve ever seen came to life. Metallica is always about utilizing modern technology to their benefit and this was no shy away from that mentality. About 20 piloted mini drones with LED lights came out of openings on the stage and flew around the band as they pushed through the thrashy single off of the hardwired album. This was a very unique effect and added so much to an already great show. 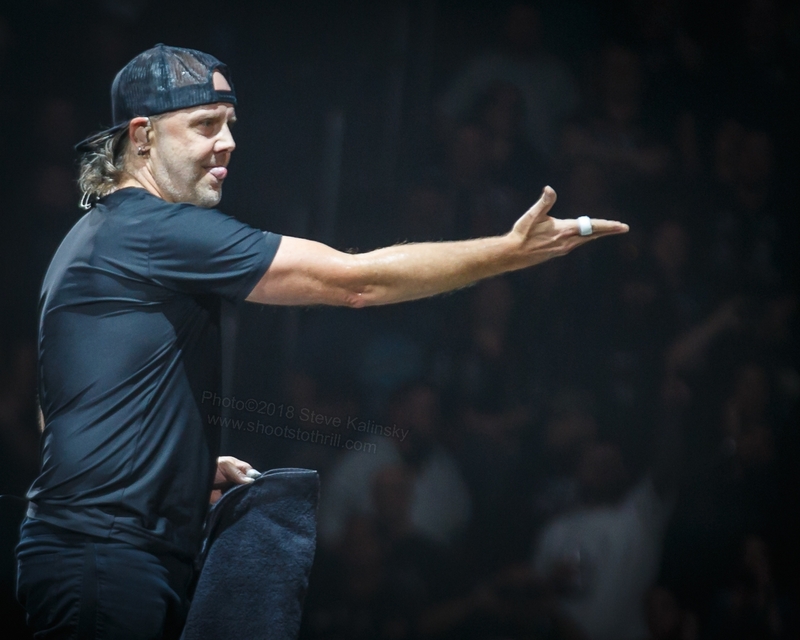 Hetfield likes talking to the Metallica family and one of his favorite moments is pointing out the youth in the audience. He found a 7 year old boy named “Lennon” sitting front row and asked him if he was ready for heavy. “Tallica gives you heavy baby!” Sad But True!. It’s time to honor those who have served. The chilling sounds of war open up as “One” bounces off the walls of PPG. Pictures of various soldiers from many wars showed on screen. The flashing of the strobe lights in the heavy breakdown brought visions of battle and angst to the arena as the heavy hitting war torn lyrics echoed throughout. 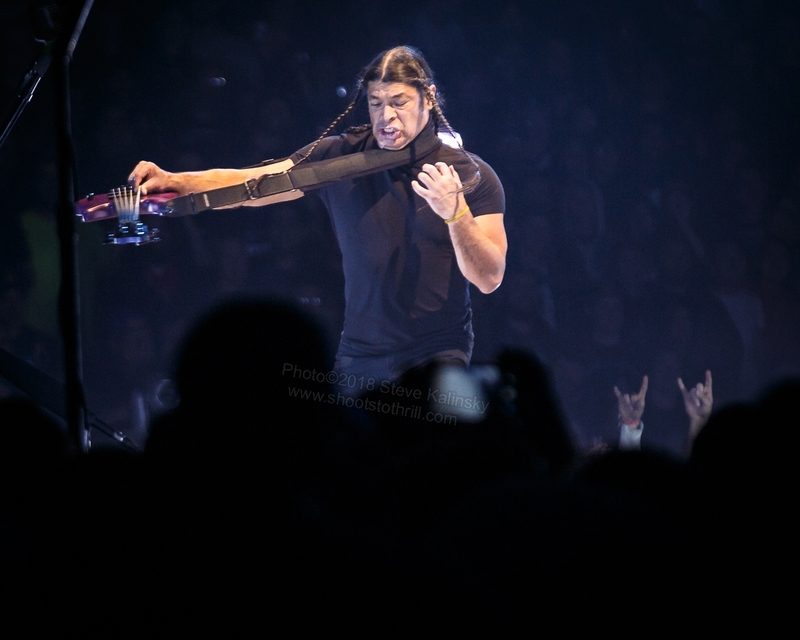 “Master!, Master!”, you cant go to a Metallica show without the sounds of “Master!”. Showing they can still chug through the 9 minute epic heavy song of great instrumentation and relay a message of age doesn’t matter, only music does. After the song the band does their fake walk off and the arena goes dark. The thumping bass and snare of “Spit Out The Bone” plays on tape as the crowd is in shock that the most classic sounding thrash song off the newest record has hit the setlist. The band bursts on a snare hit similar to the opening of the show and crushed through the progressive tune like it has been a setlist regular for many years. Closing out the show were two more songs off of the Black album. 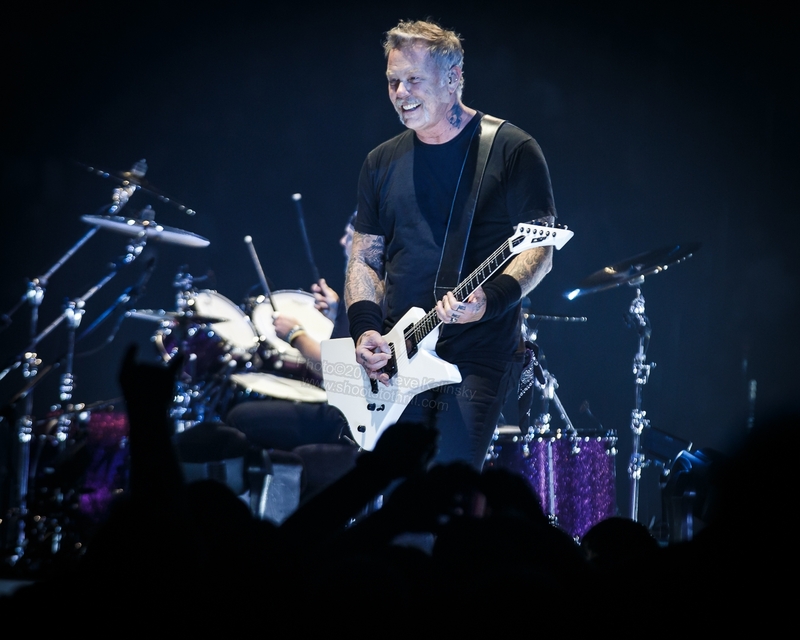 “Nothing Else Matters” and “Enter Sandman” which conjured up another impressive crowd response and closed out another amazing Metallica show. 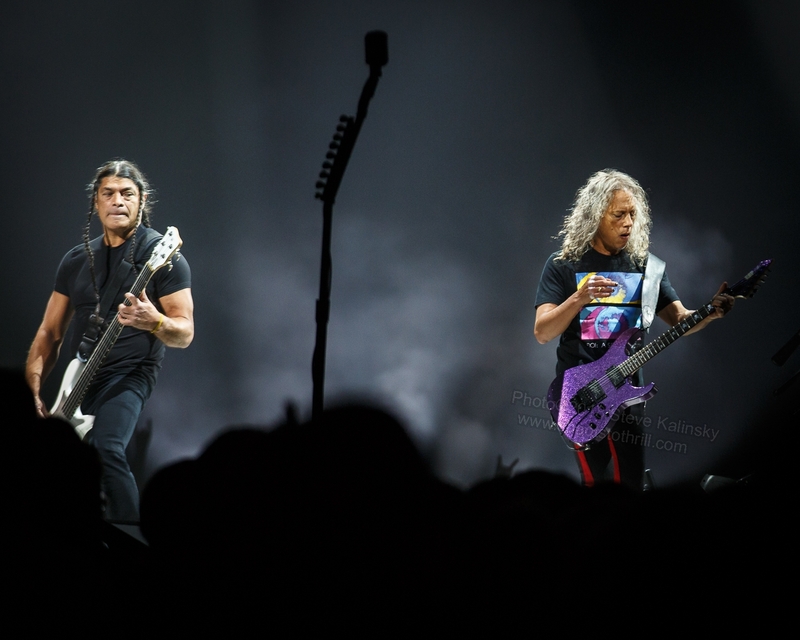 37 years into a career of bucket list legends for those who have never gone to a Metallica show, and another impeccable outing for the veteran fans like me, this band has proved that age does not matter. 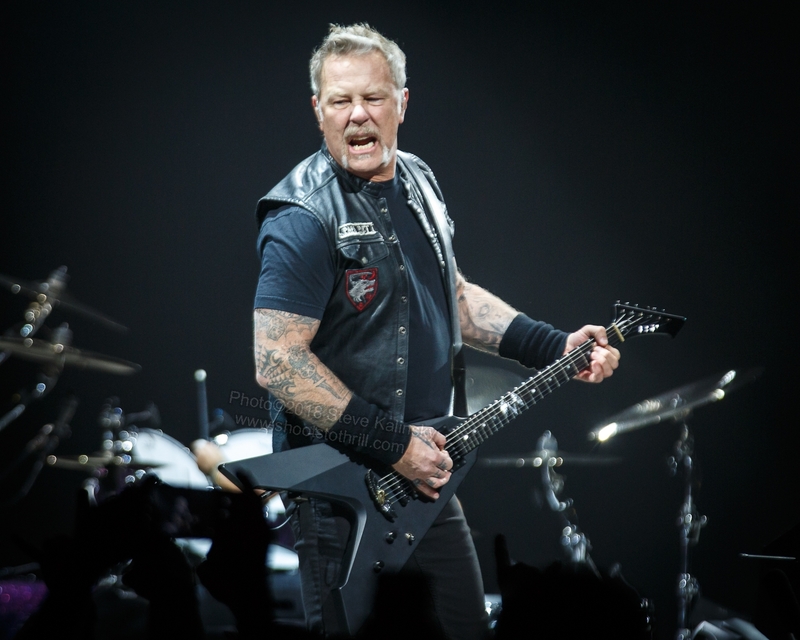 Metallica are still the same thrash metal giants that they set out to be in the early 80s. These shows have become a part of my life and more now than ever before because of how event like a Metallica show is. This is a music family. And if you have not yet been able to be welcomed in to this music family. Then please, what ever it may take, if you get a chance to go see Metallica…go. It’s a high energy show from start to finish that leaves you knowing you just saw a legendary band, and one of the greatest bands of all time for that matter.